The fairy tale life is not an easy one, and being a girl in a fairy tale is a particularly crappy fate. As a fairy tale heroine or captive princess, there's a good chance that you'll be persecuted, humiliated, lied to, threatened, cursed, imprisoned, married to a bear, married to a guy who thought you were dead, murdered, almost murdered, maimed, and/or eaten. And if you dare to stray from the path, if you behave differently from the way the fairy-tale collector or teller thinks you ought to behave, you might even get a tidy moral at the end explaining how your suffering was all your fault. And yet, I love fairy tales. I never get tired of fairy tale retellings, or fairy tale art, or less-familiar fairy tale variants, or fairy tale criticism. Part of the appeal of fairy tales, for me, is that they're "childish things" I don't have to put away. Fairy tales are just as enchanting now as they were when I was poring over my favorite Cinderella picture book, but they're also rich with deeper meaning. These are stories I want to interact with. They're beautiful and strange, so they have a certain innocent appeal, but they're also dark, and often cruel before they're hopeful, which is the part that makes them true to life and keeps me coming back to them again and again. Many famous fairy tales are only a few pages long--and while that's plenty of room for danger, hardship, craziness, and triumph, it doesn't leave much room for character, or exploring how all that fairy tale craziness would make someone feel. But a novel, novella, or even a short story-length retelling can take that original fairy tale and flesh it out, subvert it, and maybe bring something new to the table. That's what I wanted to do with KILL ME SOFTLY. Ever since I discovered the darker sides of fairy tales, I've wanted to explore that fairy tale life--what it would really be like to live out a fairy tale. If you grew up extremely sheltered and lied to, how would that affect how you lived your life, and what steps would you take to break out of that? Would those lies protect you--or would they leave you unprepared to deal with the real world? What if you were a fairy tale villain, compelled to do terrible things? Would you embrace that, or fight it? Who would you blame for your crimes? And what if you were a fairy tale princess from a disturbing-yet-popular fairy tale? How would you feel about "someday my prince will come" if you knew your prince was destined to be hot for your dead-looking body? Sarah Cross is the author of Kill Me Softly, out this month from Egmont USA. She also curates the awesome Fairy Tale Mood tumblr. Make sure to stop by my giveaway of Kill Me Softly for your chance to win! I'm interested with the darker aspect of fairy tales too. I did a paper before about the symbolism in fairy tales, even nursery rhymes as well. I read the original stories of some fairy tales and they are not the type you can really tell children at night. I have one big pet peeve--when people say they want to live in a fairy tale because they've only ever seen the Disney movies. Then I tell the true versions of the fairy tales, and by the end of the conversation, they've changed their mind. Fairy tale life isn't all it's cracked up to be! Thanks for the awesome guest post, Sarah! I think this post has made me want to go back and read he original fairy tales again versus the ones we knew from childhood... I know they are darker. 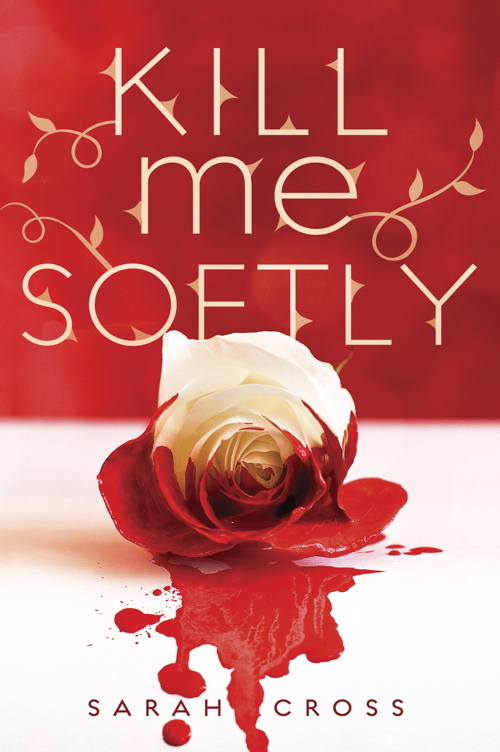 I am really looking forward to reading Kill Me Softly. :) Congrats on such a sought after book!! "These are stories I want to interact with." YES!! I think you capture really well here what retellings can accomplish that the original fairy tale could not. Because they are so brief, the original story just can't give the reader the depth of characterization that a novel can offer. They can hint at character personalities and motivations, but there's only so much that can be said in just a few pages! Thanks for this awesome post! The dark side of fairy tales, or rather their true faces, are very fascinating. They were used to scare children into behaving, sure, but I think the darkness also speaks to many of our own fears and the ugly sides of human nature - as well as the good. Very much looking forward to your book, Sarah! I recently bought a very old copy of Russian fairy tales that I can't wait to start. I just know they are going to be dark and sinister.